Club R&B, Hip Hop / Rap / RnB Sample from Ueberschall. Ueberschall has announced the latest release in its "Urbanic" series, Club R&B. This tool is equipped with 21 construction kits of R&B and Club music. Included is a bandwidth of tempos between 69BPM - 151BPM. Every construction kit features content such as basslines, guitars, synths, pianos, fx sounds, a chunk of drum and percussion sounds and more. 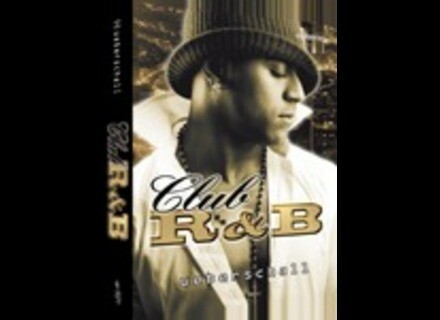 Each sample of Club R&B is labeled with BPM information and root key signatures. This structure is designed to make it easy to select the correct vibe needed for your track, then zoom in and identify only the parts you want to touch up. Responsible for this product are Marc Steinmeier and Bene "Beneluxus" Dehling. They have worked for Companies like Universal Music, EMI Electrola and Sony/BMG. They have assisted, produced or remixed for artists such as LL Cool J, Alica Keys, George Clinton and Eminem. IK Multimedia DrummerTracks Series IK Multimedia and Sonic Reality recently introduced DrummerTracks - a new series of style-based full-length drum backing tracks performed by top studio drummers. massivesynth.com Waveforms Volume 1 massivesynth.com has announced the release of Waveforms Volume 1, which features 40 patches for Native Instruments Massive including pads, leads and basses, suitable for electronic music from dubstep to drum & bass, progressive to techno and everything in between. MOTU MasterWorks Collection MOTU has announced that it is now shipping the MasterWorks Collection, an advanced audio plug-in bundle for Pro Tools, Logic Pro, Cubase, and other Mac OS X hosts that support RTAS, Audio Units, and VST3 audio plug-ins.